Recently, a friend of mine emailed me, asking two questions: first, “What is the American Solidarity Party?” and second, “What is distributism?” Most of what I know is fragmentary, and my response to him was also mainly fragmentary and incomplete. Although I have done some reading in the economic side of Catholic Social Teaching (my research is in the personalist side from a metaphysical perspective), this is not an area in which I have much competence. I am open to correction, clarification, and any additions that may help. I’ve edited my response to my friend to fix some typos and also to keep the people anonymous for the purposes of this blog. The American Solidarity Party is basically a political party that primarily follows Catholic Social Teaching, one that calls itself “the only active Christian Democratic party in the United States”. The term “Christian Democrats” refers to its more European usage like the political parties over there and its usage doesn’t have anything to do with the American Democratic party. It is neither left nor right in the American senses of the term; and, from what I can tell, they eschew the modern notion of freedom which has enveloped nearly every other major political party. Their economic platform seems to, from what I can tell, align itself to the idea of distributism without employing the term explicitly (although they may do this elsewhere as I am not completely familiar with all of their literature). Distributism as it is known now comes from G. K. Chesterton and Hilaire Belloc. It is at its core a Catholic sensibility, as both Chesterton and Belloc, both Catholics, were inspired by Pope Leo XIII’s encyclical Rerum Novarum (hereafter RN). In a sense, distributism is a way to take Catholic Social Teaching seriously; in other words, for many of us Americans, we think we’re pretty “good” at the human dignity thing with regard to a few issues like abortion, capital punishment, etc., but we tend to be beholden to neo-liberal economics (which is what Capitalism is), that force that attempts to commodify everything. The basic conundrum produced by the reigning economic “orthodoxies” at the time of Belloc and Chesterton was the fact that many forms of socialism were trying to take away property (RN paragraph 4), while at the same time liberalism was trying to take away freedom in the form of, amongst other things, putting “freedom” only in the hands of the rich few. The core ideas are centered around the common good and supporting property ownership for all (RN paragraph 6): this means that it is against communism/state-social because it takes control away from the Nation State and also against capitalism because it takes away control from the few rich oligarchs who control property (these days that may be “the banks”, or more specifically the private banking system and so thus distributists tend to favor the credit union model). Pope Leo XIII states in RN, for example, that “the hiring of labor and the conduct of trade are concentrated in the hands of comparatively few; so that a small number of very rich men have been able to lay upon the teeming masses of the laboring poor a yoke little better than that of slavery itself” (para. 3). Instead of the state or capitalist ownership by the few, distributism favors the family, common good, and the small over the massive. There is a book entitled Small is Beautiful: Economics as if People Mattered, by E. F. Schumacher (a Catholic convert) which has been one of the most influential books in the 20th century on these matters. The State is not to absorb the family, and the family is to be obedient to God (RN 35-36). Distributism commends a just and fair wage, which Rerum Novarum talks about (see paras. 45-46). Also: safe working conditions (para. 42), and especially a focus upon the family as a unit where all of this freedom is experienced, apart from any State control (RN 12-14). Additionally, RN 48-49 (and beyond) strongly advocates for worker’s unions, also called “working men’s associations”, for these “working men’s associations should be so organized and governed as to furnish the best and most suitable means for attaining what is aimed at, that is to say, for helping each individual member to better his condition to the utmost in body, soul, and property” (RN 57). The Knights of Columbus come to mind as an example of something that helps to uphold the dignity of the working person in defense of the family in the form of workers/life insurance in dangerous jobs (see RN 53 which alludes to such orders/societies). There is a lot more to distributism, such as “subsidiarity” which was upheld by Pope Pius XI in Quadragesimo anno, an encyclical whose entire subject is written “on the 40th anniversary” of Rerum Novarum; Paul VI’s Octogesima Adveniens, on the 80th anniversary of RN; and again reiterated in St. John Paul II’s Centesimus Annus, on the 100th anniversary of RN. Also, other current Catholic (and Anglo-Catholic) figures in play could be discussed as far as being influential on interpreting the Catholic Social Teaching in the form of distributism. When I was in England, for example, I saw the emergence of the “Red Tory” and “Blue Labour” movements were attempting to do similar things (with varying degrees of success and failure when tying themselves too closely to political parties). I also attended a conference the week that Benedict XVI’s economic encyclical Caritas in Veritate came out which became the book The Crisis of Global Capitalism: Pope Benedict XVI’s Social Encyclical and the Future of Political Economy. This encyclical Caritas in Veritate, by the way, is now included in the expanded edition of Catholic Social Thought. Hope this has been somewhat helpful in giving a bit of a small sketch. Distributism is actually nothing more than articulation of Catholic Social Teaching in its most full-bodied expression beyond the typically American left-versus-right issues. The American Solidarity Party, as far as I can tell, is doing its best to be faithful to this expression as it sees the two major political parties (let alone most of the third-party alternatives who tend to be also too entrenched in a false form of liberty) as very lacking. I recently listened to the first episode of this new podcast called “Something Revealed”. What an absolutely wonderful listening experience, not to mention a stellar production. Click here to listen, or you can also find it on iTunes. Highly, highly recommended. 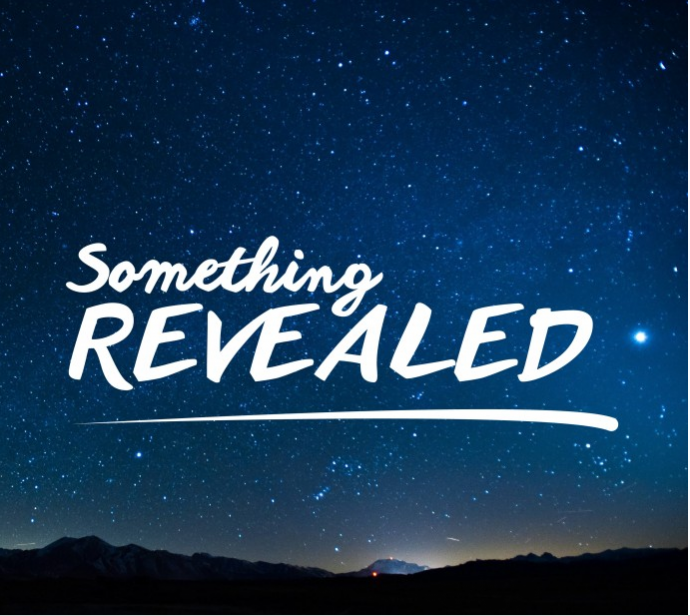 What is Something Revealed? It’s our new podcast that delves into the everyday topics of art, politics, music, religion and history, with an eye on what they reveal to us about what it means to be a human in the 21st century. Listen to how Chopin’s Raindrop Prelude speaks to the fears, yearnings, dreams and intellectual curiosities of a group of students, philosophers, musicians, educators, and to every man and woman! Greetings, dear readers! 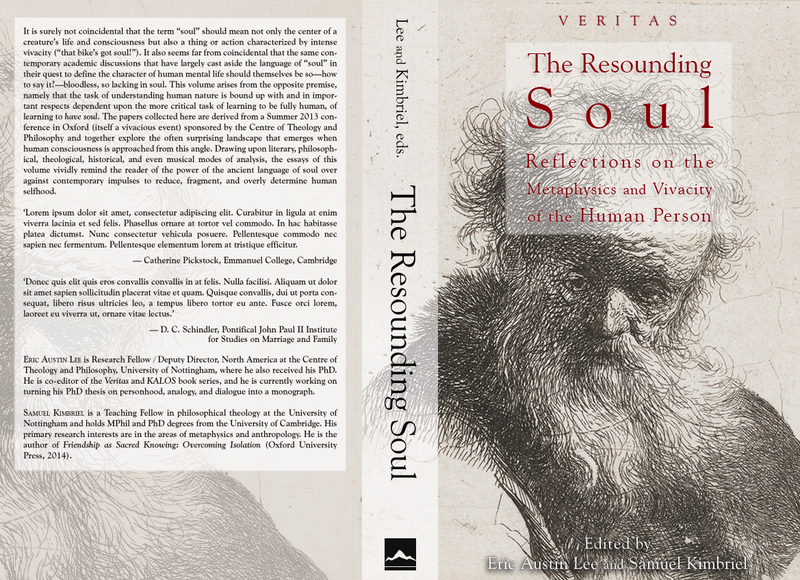 It’s been a while, but I wanted to inform you that as of this past November (of 2015), my friend Samuel Kimbriel and I have published an edited volume through Wipf & Stock entitled The Resounding Soul: Reflections on the Metaphysics and Vivacity of the Human Person. The essays contained within are the fruit of the conference on “The Soul” that took place in the summer of 2013. The collection has been a labor of love, and we are both really proud of the final product. It is surely not coincidental that the term “soul” should mean not only the center of a creature’s life and consciousness, but also a thing or action characterized by intense vivacity (“that bike’s got soul!”). 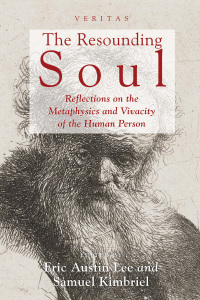 It also seems far from coincidental that the same contemporary academic discussions that have largely cast aside the language of “soul” in their quest to define the character of human mental life should themselves be so—how to say it?—bloodless, so lacking in soul. This volume arises from the opposite premise, namely that the task of understanding human nature is bound up with and in important respects dependent upon the more critical task of learning to be fully human, of learning to have soul. 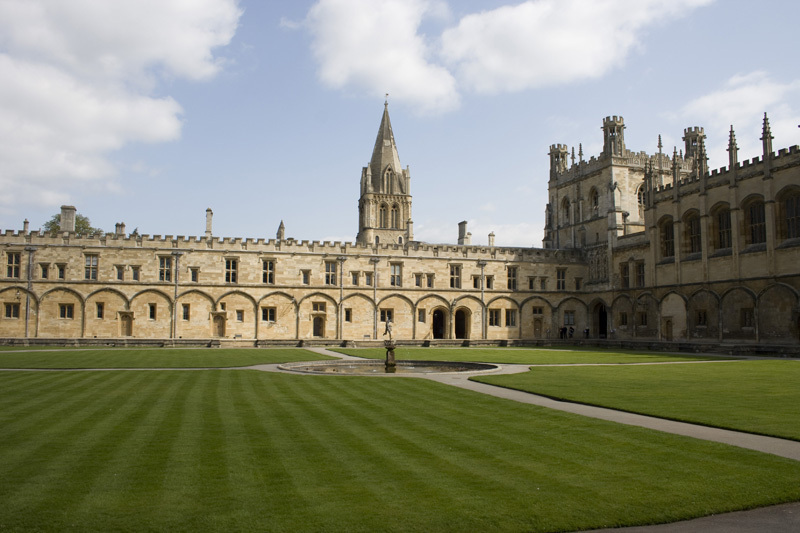 The papers collected here are derived from a conference in Oxford sponsored by the Centre of Theology and Philosophy and together explore the often surprising landscape that emerges when human consciousness is approached from this angle. Drawing upon literary, philosophical, theological, historical, and musical modes of analysis, the essays of this volume vividly remind the reader of the power of the ancient language of soul over against contemporary impulses to reduce, fragment, and overly determine human selfhood. The best way to secure a copy of this collection is directly from the publisher’s website here. Michael Chase: What do the expressions “philosophy” and “living a philosophical life” signify for you? Pierre Hadot: For me, the word “philosophy” corresponds first of all to an historical phenomenon. It was the Greeks who created the word, probably in the sixth or fifth century BC, and it was Plato who gave it its strongest meaning: philo-sophia, “love of wisdom,” the wisdom which one lacks. Since that time there has been an intellectual, spiritual, and social phenomenon, which has taken on a variety of forms, and which has been called philosophy. From this point of view, it is legitimate to ask whether there exists a “philosophy” outside of the Western tradition, or of the Arabic tradition, insofar as the latter is the inheritor of Greek philosophy. Now, an historical phenomenon is in constant evolution. Contemporary “philosophy” is obviously very different from the “philosophy” of Socrates and Plato, just as contemporary Christianity is very different from the Evangelistic message. Is this evolution a good thing? Is it an evil? I won’t go into that. I do think, however, that it is always legitimate to go back to the origins, in order better to understand the meaning of a phenomenon, and that is what I try to do. “Postscript: An Interview with Pierre Hadot,” in Philosophy as a Way of Life: Spiritual Exercises from Socrates to Foucault, trans. Michael Chase, ed. Arnold I. Davidson (Malden, MA: Blackwell Publishing, 1995), 281-82. 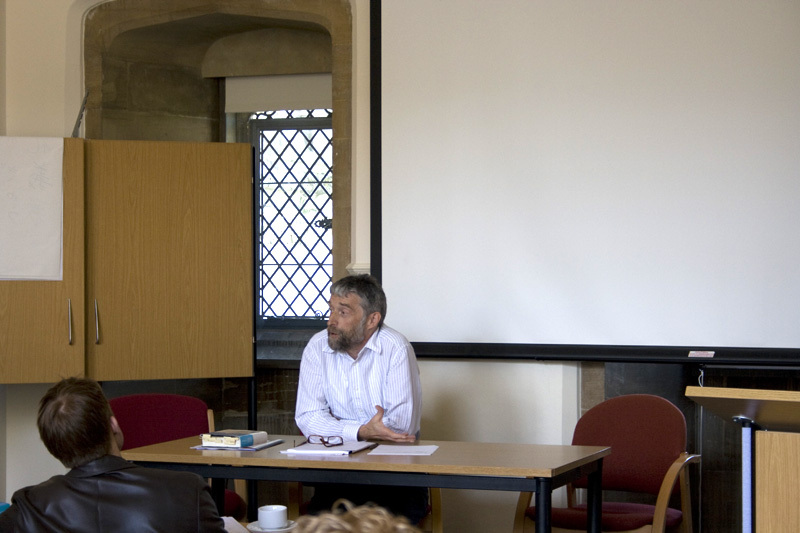 At the end of June, I had the honour of co-organizing, attending, and presenting at this year’s Centre of Theology and Philosophy conference on The Soul. We had an amazing list of keynote presenters (including Marilynne Robinson) amongst a large number of extremely high-quality papers by other academics, both from students and professionals. 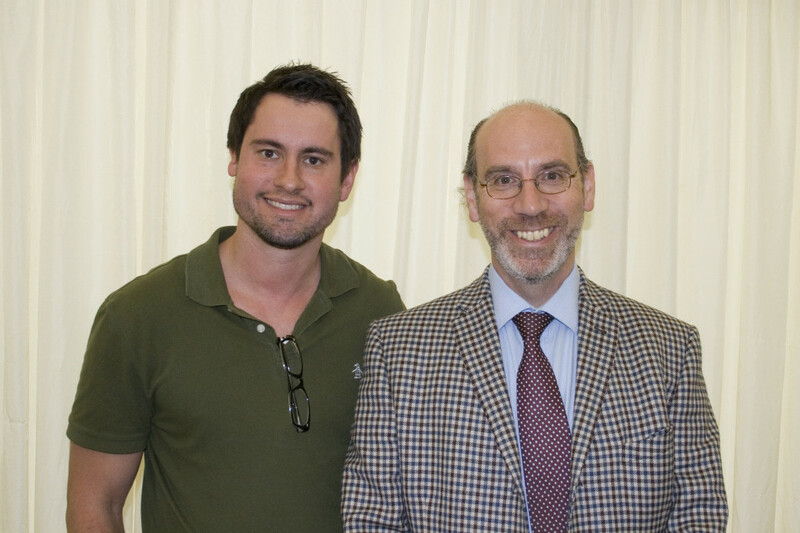 Of the many highlights of the event, the grandson of Inkling Owen Barfield, Owen A. Barfield,Jr. was able to attend for one of the conference days. He brought a large number of his grandfather’s works, selling them at a heavily discounted price. It was a treat to be able to meet a person who could share a part of this literary, philosophy, and theological history. I was able to snap a picture of Owen A. Barfield (on the right) along with my great friend and colleague, Michael DiFuccia, who recently submitted his PhD thesis on the work of Owen Barfield (the Inkling). 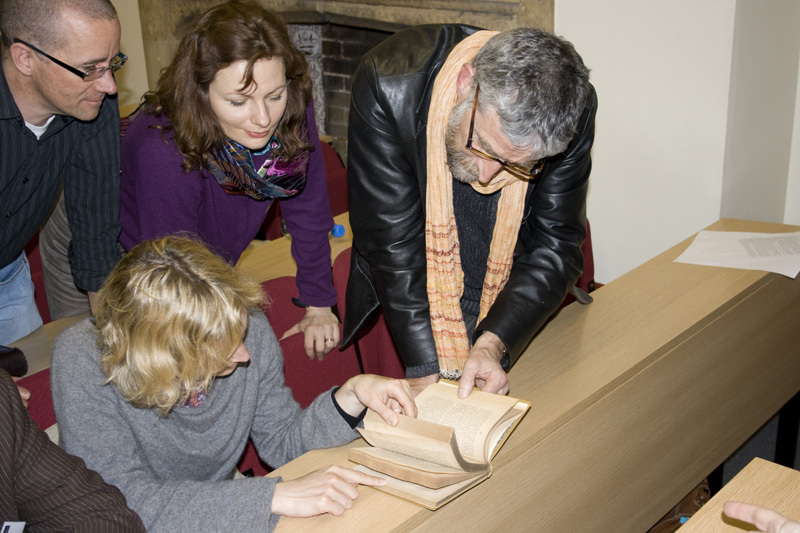 It was an honour to meet him and exciting to see him promoting the continued publication of his grandfather’s work. A friend and former (younger) colleague of mine recently asked me for some advice on writing a PhD proposal. I thought it might prove helpful to share my response. Keep in mind that what is written here may not exactly apply to the application process in the United States, but it may still be generically applicable in that case (I’m from California but completed my PhD at the University of Nottingham in England). I welcome any other suggestions or advice that I may have missed in the comments section, as I tend to get such requests from friends and prospective PhD students fairly often. First, be absolutely serious about your topic, but also keep in the back of your mind that your project may change slightly, if not significantly throughout the course of your research. So, don’t feel like you have to put everything into your proposal, as it is, after all, a proposal for what you still have to find out. Thirdly, to show that you know the field decently well, do a little bit of show-offy name dropping with the figures you’re interested in, but don’t go overboard and regale them with your knowledge of everything (save that for the thesis). Especially if your project is more of a topical one as opposed to a figure study, and even if it is a figure study, you’re still asking an interesting question about that figure instead of the predetermined answer of “Thomas Aquinas is the Best” or whomever. Fourthly, because the research is open-ended, and you are asking a certain set of specific questions for now, be sure to say how you will plan to publish it by expanding upon the question in such a such a way. Also, and extremely important for your sanity (we all had to do this), thinking about how you will expand the project later will helpfully limit the scope of your project for now. We all have anxiety about not having read everything and so when we start reading enough to know how much we still have yet to go, there’s a temptation to go overboard and just read read read until we think we’ve read everything on the topic, which will be entirely unhelpful, and most likely impossible (unless you’re doing a narrow figure study on a lesser-known figure). The more you can focus your project now, the better. Lastly, if you haven’t already, learn a language or two. Because the UK system doesn’t require you to take courses, let alone language courses, it’s actually possible to get away with not learning another language (about zero likely if you’re a biblical studies person, but it may be possible in theology/philosophy, sadly). You’ll probably already know the field of your topic or figure really well, and therefore you’ll know if you need to learn French or German or Greek or, perhaps there’s been an upsurge of academic interest in your topic in the Spanish academia, etc. Pick up one of the relevant books plus a dictionary, like French for Reading or German for Reading Knowledge. * If you can afford it, I’d also strongly recommend doing a language submersion course. It’s a lot of time, but it really helps you pick up the mechanics of grammar quickly. 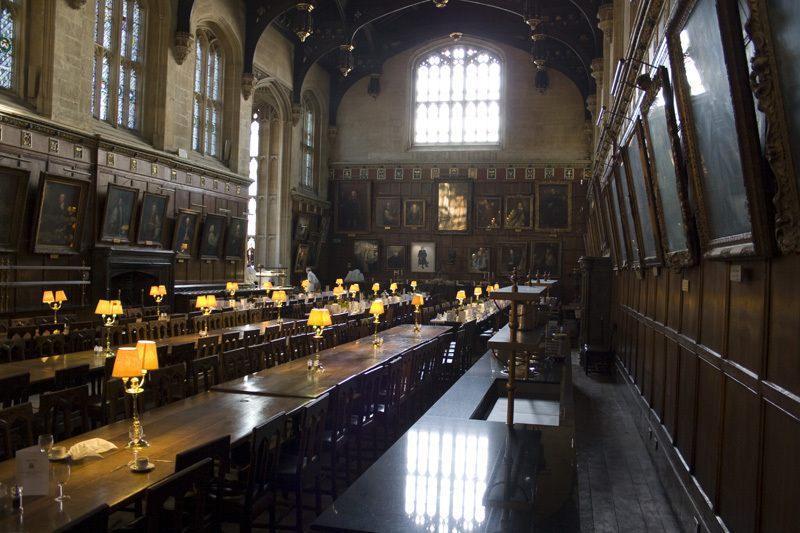 Another language-learning option is that if you need to learn Greek or Latin, ask the Classics department if you can take one of their classes (this may work for other languages as well). Just e-mail their department and tell them you will do all the work and be there every day (you should really do all the homework, and while you’re not required to take the tests, obviously, that kind of preparation will actually help you remember and focus). The University of Nottingham’s Classics department allowed me and at least three other colleagues of mine go this route, and they were happy to have us. Once you start learning a language, if you can devote an hour or two in the morning before you get to the rest of your research, that will help keep it fresh, because otherwise, you can really lose it and get rusty. * Note: these books can tend to be expensive, so in the case of German for Reading Knowledge, I would recommend not purchasing the latest, very expensive edition from 2013, but looking on Amazon.com for the cheaper, previous addition. A friend recently asked me to provide a reading list of books that contain surveys of philosophy. Below is the list that gave him. Now, I understand these are all, to some degree, narrative accounts from many different perspectives including both ancient, medieval, modern, and post-modern trajectories. Pierre Hadot, What is Ancient Philosophy? It’s been an incredibly long time since I’ve blogged, or had the time or inclination to do so. Much has transpired since I last wrote. I changed my PhD thesis topic quite drastically from a figure study on Socrates, Friedrich Nietzsche, and Søren Kierkegaard to a topical thesis on personhood, analogy, and dialogue. This doesn’t mean I’ve ‘parted ways’ with Kierkegaard by any means; rather, I’ve just moved away from being primarily a ‘Kierkegaard guy’. At crucial points in my thesis, he remained a constant traveler. I submitted my thesis on September 28th 2012, successfully defended it on January 18th, 2013, and graduated on July 9th, 2013. My project was well-received as rather ‘ambitious’ by my thesis examiners, and they’ve both encouraged me to publish the project, which I plan to do. I thoroughly enjoyed the research and writing, as trying and as challenging as it was, and I look forward to continuing to refine the work for publication within the next year. My wife and I have also relocated from Nottingham, England to Sacramento, California. 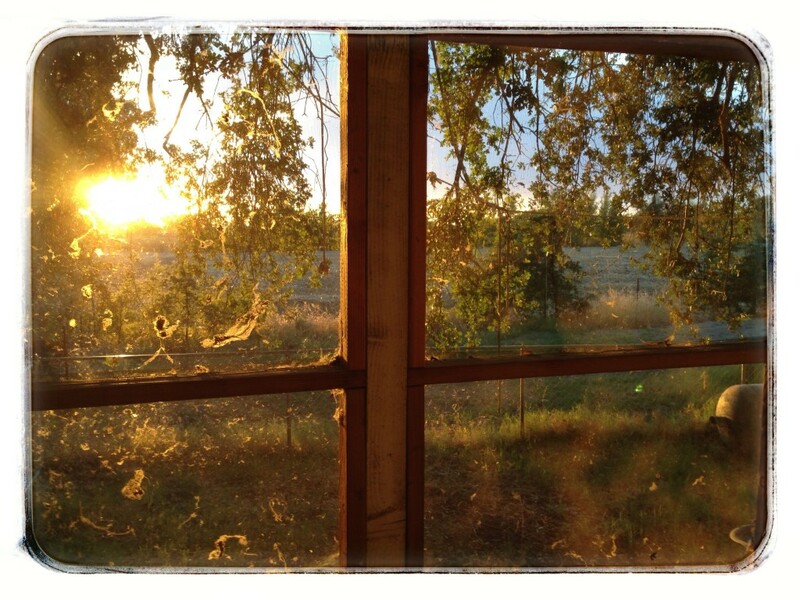 We’re living in the West Sacramento area with my in-laws where I am doing the occasional job here and there to make ends meet in addition to working on the job search and maintaining various academic duties. As far as this blog is concerned, I am still giving thought to what shape it will take regarding its content. It will still primarily be a place to throw out quotations and brief thoughts on theology and philosophy, but there are other particulars in my head to work out. In the meantime, stay tuned! I would love to go to this conference, but no more conferences for me until my PhD is finished. It sounds pretty exciting. 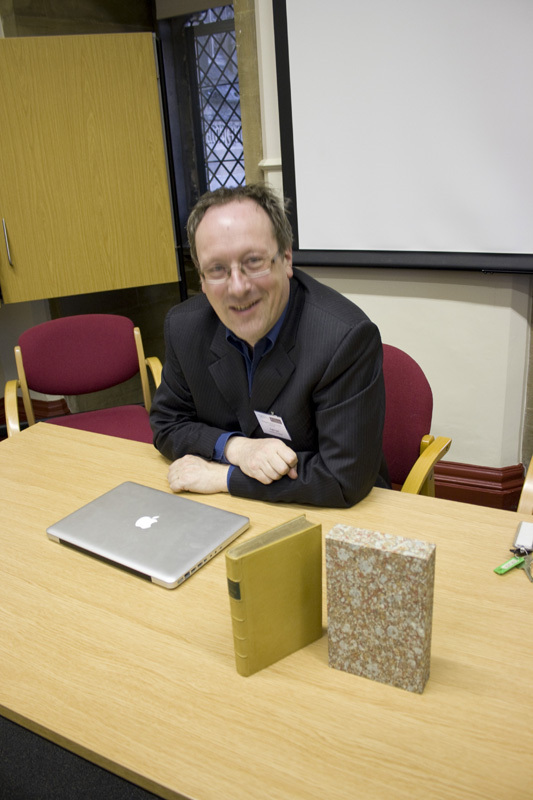 Patrick Stokes, the conference organizer, has a book entitled Kierkegaard’s Mirrors: Interest, Self, and Moral Vision (US | UK) which is an excellent and fun read (I have a forthcoming review of it in The Heythrop Journal where I give it more specific praises). What makes the attainment of narrative identity normative? Do selves exist prior to their narration? How can the narrative self be something we both are and are ethically enjoined to become? story – our death – is necessarily unknown to us? Are metaphysically realist or anti-realist versions of the narrative selfhood hypothesis more tenable – and what of the claim that practical and metaphysical identity cannot be separated at all? Are narrative conceptions of self consistent with any strong form of free will? We welcome proposals for papers (40 minutes reading length maximum) addressing the conference theme. Papers on narrative and selfhood that do not deal directly with Kierkegaard will also be considered. Please submit abstracts of 250-300 words to p.stokes2@herts.ac.uk by Friday 5th August. “However, it is not the case that in any genus—even [the genus] of motion—we come to an unqualifiedly maximum and minimum. Hence, if we consider the various movements of the spheres, [we will see that] it is not possible for the world-machine to have, as a fixed and immovable centre, either our perceptible earth or air or fire or any other thing. “Hence, the world does not have a [fixed] circumference. For if it had a fixed center, it would also have a [fixed] circumference; and hence it would have its own beginning and end within itself, and it would be bounded in relation to something else, and beyond the world there would be something else and space (locus). But all these [consequences] are false. Therefore, since it is not possible for the world to be enclosed between [a physical] center and a physical circumference, the world—of which God is the centre and the circumference—is not understood. And although the world is not infinite, it cannot be conceived as finite, because it lacks boundaries within which it is enclosed” (Nicholas of Cusa, On Learned Ignorance, trans. Jasper Hopkins [Minneapolis: Banning, 1981], II.11; p. 114). 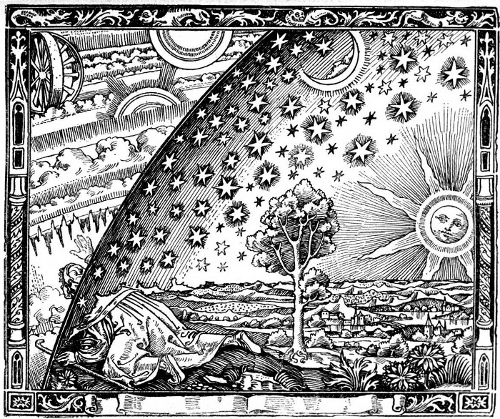 Karsten Harries associates this quotation with the Camille Flammarion woodcut (pictured above) in her Infinity and Perspective (pp. 46-8). The caption on the woodcut reads Un missionaire du moyen age raconte qu’il avait trouvé le “point où le ciel et la Terre se touchent”. Nothing more to add just now, but I really dig this. Furthermore, it is the evolutionary atheists who argue that evolution not only disproves God, but evolution is itself inherently atheistic. There are, of course so many problems with this claim (e.g. Darwin didn’t lose his faith because of his belief in evolution, but because of the suffering and death of his daughter, not to mention the fact that millions of Christians around the world have no problem with evolution, although ‘evolution’ would of course have to be unpacked a bit). But the real kicker here is that these Creationist Christians 1) don’t bother to learn the science, but 2) more damningly, actually accept these claims of the evolutionary atheists as if they were true. Really? Who says that evolution has to be atheistic? After my PhD supervisor’s BBC documentary ‘Did Darwin Kill God?’ came out last year (March 2009), my wife and I went home for a visit and I showed the documentary to my family. We had a very fruitful discussion afterwards. Something that came up in the discussion was that one of my relatives said, ‘But it’s the atheists who say that evolution disproves God.’ Aside from many pages written to the contrary that break apart these unhelpful and false binaries, basically, these claims are by scientists who are looking at the science and bringing their pre-conceived cosmological claims to the table and then saying, ‘see, evolution means God doesn’t exist.’ It could easily be claimed that the Christian who comes to the science lab and is fine with evolution does the same thing, but the difference here I would argue is that the Christian at least has some inkling and basic understanding that belief is a part of one’s basic reasoning about things (cf. Michael Polanyi); whereas the atheists who usually make such claims (Dawkins, Dennet, the Churchlands, et al.) deny belief altogether, and so can’t even ultimately believe in their own belief in atheistic evolution. I told my relative that scientists who say such things one way or the other are being bad scientists. At that point, they’re making theological, philosophical, and cosmological claims that are not an inherent part of their scientific method, as the questions of science bracket out such claims (cf. 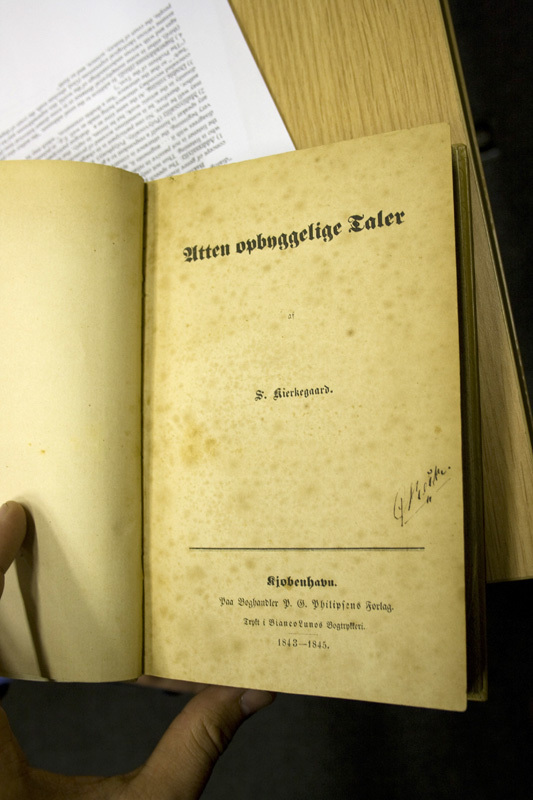 Heidegger’s analysis of science in ‘What is Metaphysics?’: ‘science says nothing about the nothing’). Theology and philosophy can theologize and philosophize about science, but when science does the same it is no longer ‘strictly’ science but should admit that it is now making such philosophical, theological, or cosmological claims. In other words, the category error here is not realizing that the relationship between these areas (although admittedly this is all a bit porous) is an asymmetrical one. 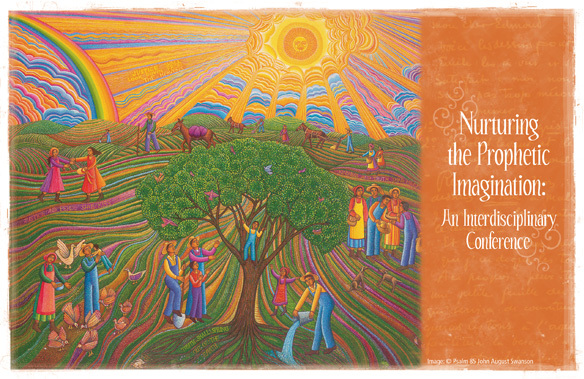 It’s been a few weeks now, but the full schedule for the Nurturing the Prophetic Imagination conference is now online. Co-sponsored by the PLNU Wesleyan Center, Center for Justice and Reconciliation, Writer’s Symposium by the Sea, Center for Pastoral Leadership, and Center for Women’s Studies. Guest Emcee: We are excited to have Dr. Ron Benefiel join us as our emcee! Dr. Benefiel is the president for Nazarene Theological Seminary (Kansas City, MO). Trained as a sociologist, he is also an ordained minister who has pastored churches in a variety of urban settings. He is author of A Theology of Place: Ministry in Transitional Communities (1996). When many Christians consider the prophetic imagination, they think of attempts to decipher how the world will end or religiously based movements for social and political change. The biblical understanding of prophecy, particularly as embodied in Jesus and such prophets as Hosea, Amos, and Isaiah, while including both a hope for the future and a critique of the present social and economic situation, also seeks to free believers in Christ to witness to the future of God creatively in the present. The prophetic imagination is, in the light of the gift of God’s self-revelation in Jesus Christ, a challenge for Christians to question the assumptions, beliefs, and practices that the church often takes for granted. It calls believers in Christ to reflect deeply on the ways that the church has accommodated itself to and allowed itself to be defined by the dominant culture and thereby has been a party to economic and social systems of sin, oppression, and injustice. The prophetic imagination provides a challenge to the church to renew its criticism of the dominant culture and envision a new and vibrant way of being in but not of the world. This conference will explore various dimensions of the prophetic imagination, especially around the three key movements or stages of encounter with the prophetic imagination: 1) dissatisfaction with and critique of dominant culture; 2) taking responsibility for and learning to lament the extent to which we have been complicit with the sinful and destructive forces of the dominant culture; 3) creatively and hopefully envisaging new modes of being the church in the world and new ways of embodying God’s will for the world. In a similar vein to the University of Nottingham’s Period Table of Videos (be sure to check out the Potassium one! ), Brady Haran, in conjunction with our Department of Theology and Religious Studies, is now producing a series on the Bible dubbed Bibledex. There will be books on all 66 books of the Bible, and as the website states, they “are by no means comprehensive – rather they’re a curious assortment of academic insights into what is probably the most famous collection of books in history.” Each video consists of different insights from the different perspectives offered from the staff and postgraduates in our department (me mates!). The first three videos are now up, on Genesis, the Song of Songs, and 1 Corinthians. The Oxford Centre for Theology and Modern European Thought, in connection with the Søren Kierkegaard Society of the UK, is pleased to announce an international conference focusing on Kierkegaard’s Upbuilding Discourses. While often overlooked, the Upbuilding Discourses provide a rich ground for understanding Kierkegaard’s wider work, as well as his own identity. Furthermore, the Discourses offer a valuable contribution to a more general discussion of such issues as sin, love, suffering, salvation, and personal identity. This will be the first of three conferences on Kierkegaard’s Discourses, and will focus on the Eighteen Upbuilding Discourses of 1843-4, and the Three Discourses on Imagined Occasions. Further conferences will consider the discourses of 1847 (Århus, 2010), and Kierkegaard’s final discourses (Copenhagen, 2011). Alongside the main speakers, there is the opportunity for the presentation of shorter papers of between 20-30 minutes. Abstracts of 300-500 words are invited on a wide range of themes related to the conference topic. To submit an abstract or for further information, please contact Dr Matthew Kirkpatrick at – kierkegaard.conference@gmail.com. The deadline for submissions is 1st March, 2010. For further details about the conference, including accommodation, fees, and registration, please visit www.kierkegaard.org.uk. Helpfully, the Three Discourses on Imagined Occasions was also one of the volumes recently published in paperback. Lastly, here’s the CFP poster if you’d like to download it: Kierkegaard Conference – Call for Papers.